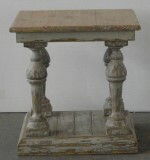 Click here to view our French Country & Salvaged Wood Furniture Collection on our new website! This section contains armoires, tables, chairs, buffets and desks inspired by 1880s French Country & Salvaged Wood furniture. Each piece is finished by hand with some having distressed, antiqued appearance. 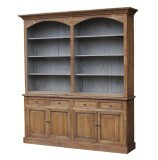 French Country style is a very popular decor style today. You see it regularly featured in magazines, books, and television shows. 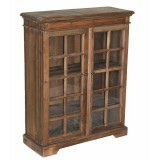 This is a furniture style that functions and fits with your everyday living demands. The French Country Furniture look is one that reflects life's simpler times, bringing back that country farmhouse warmth with a modern feel. 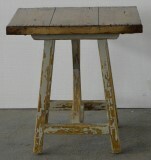 Salvaged wood furniture is handcrafted from recycled lumber to create new bookcases, tables, benches, cabinets and more. 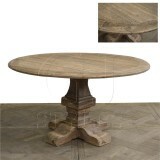 This reclaimed wood has a beautiful color and texture that will add real character to any setting. Practical, sturdy and environmentally friendly, this salvaged wood furniture is perfect for families and businesses alike. With salvaged wood you can help reduce your carbon footprint without compromising your style or budget. Click any picture below for closer look.